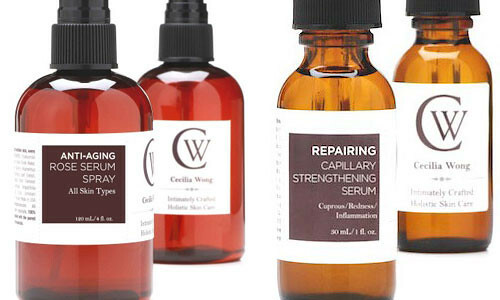 NYC based Cecilia Wong was born to work in skincare. She figured out at the age of 14 that if eating fruit is good for your skin, it must also work as a product. Cecilia started making blueberry/papaya masks later that day. Since then, she’s graduated from fruit masks to her own skincare line and cult facial spa. Cecilia specializes in 3 different types of unique non irritating facials - Microcurrent, LED Light Therapy, and Oxygen. I went for Door #3 Oxygen. This is what happened: Cecilia spent the first 15 or 20 minutes massaging my face with a gentle cleanser (amazing), followed by extractions (necessary), and then she did the Oxygen Treatment. This treatment entails using a small oxygen dispensing devise (similar to what they use to blow water off your teeth at the dentist) mixed with Vitamin C and aloe. She infused every pore on my face with 100% pure O2. Treating your skin with pure oxygen is like feeding your cells an extremely healthy meal - it gives them the energy they need to replenish. She finished by applying her Black Currant Serum to my face.